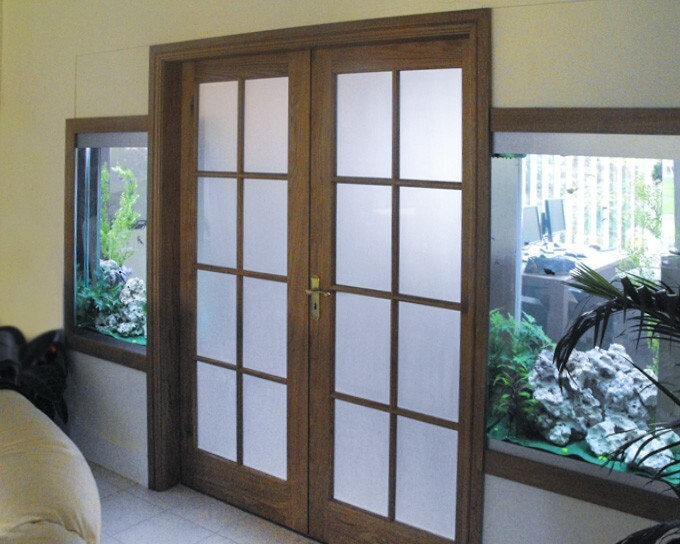 These two bespoke column aquariums separate the office from the living area in a Hertfordshire home. They were installed during the refurbishment of the house. Both aquariums are identical and have filtration and heaters installed below. They were built using 19mm glass as they are over a metre in height and this type of glass is necessary due to the water pressure. The aquariums contain ocean rocks and green sand as well as artificial plants and a selection of tropical comminity fish.